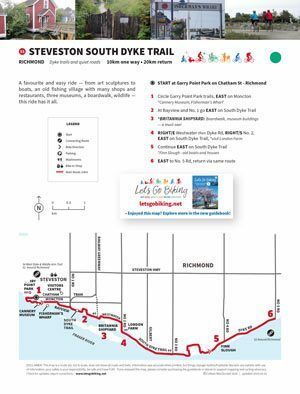 Steveston South Dyke Trail – Let's Go Biking! Steveston South Dyke Trail – Let's Go Biking! 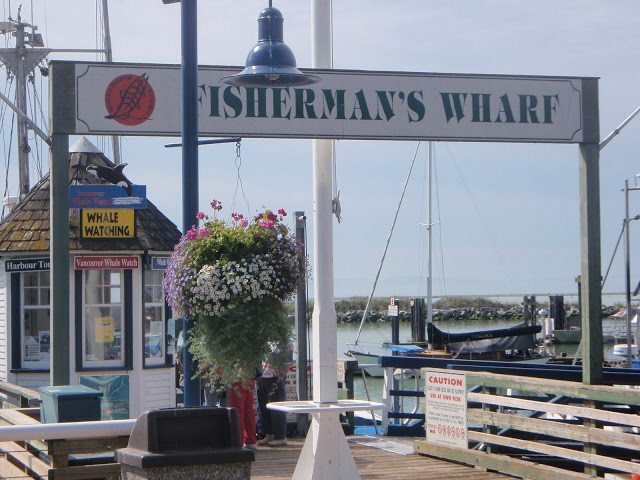 A favourite and easy ride — from art sculptures to boats, an old fishing village with many shops and restaurants, three museums, a boardwalk, wildlife — this ride has it all. Visit Brittania Museum – a ‘must-see’ ! I think this is one of the best museums in the city. 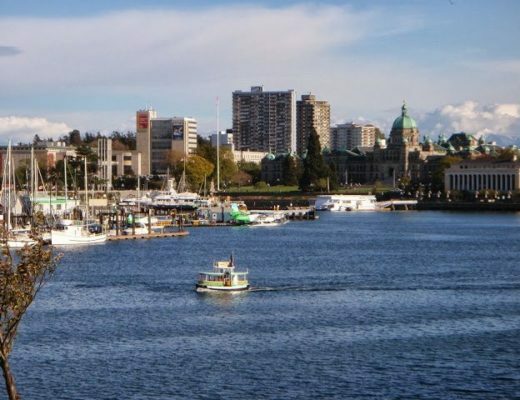 Lock up your bikes, walk along the boardwalks and see the interactive displays inside these old homes and businesses. Circling Garry Point Park – views over the Salish Sea. Keep your eyes open for whales. Finn Slough is an interesting place to see and is a popular photo spot.